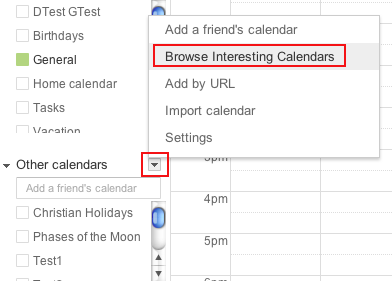 Either add them directly in Google Calendar by clicking the button to the right of “Other calendars” and then “Browse Interesting Calendars”. 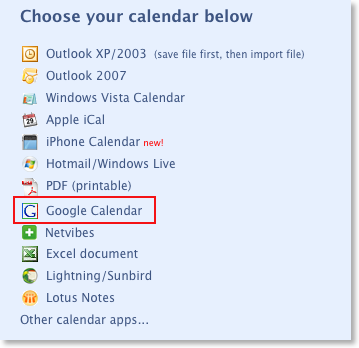 This way you can subscribe one of Google's public calendars. Or you can search for a holiday or sports calendar e.g on http://icalshare.com or http://holidays.kayaposoft.com and add it to your calendar. On that website you can find a large collection of different calendars. 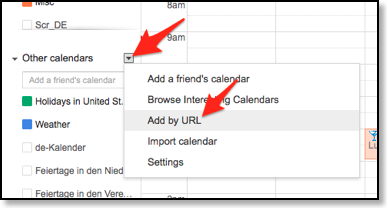 Then open Google Calendar on your computer, open "Add by URL" and insert the link. That's all, afterward you should see the holidays of the next 20 years in Google Calendar and after syncing CalenGoo, in CalenGoo, too. If you are syncing via Android, tap "Settings", "Visibility/Download" in CalenGoo, press the menu button and choose "Refresh Android Calendar". Return to the calendar view and wait for the sync to finish. Afterward you should see the new calendar in the calendar view or at least under "Settings", "Visibility/Download" were you can enable it. If you are syncing directly with Google Calendar just press the menu button while one of the calendar views is displayed and choose "Sync". 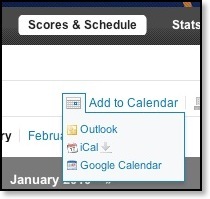 Google Sports calendars can also be displayed by CalenGoo. And you can use Yahoo Sports calendars in your Google Calendar: Go to http://sports.yahoo.com, search for your favorite team, click "Scores & Schedule", then "Add to Calendar" and choose "Google Calendar". When you add such a Yahoo Sports calendar, it will also be synced with CalenGoo. There are also other event sharing sites where you can download/get sports calendars like e.g. http://www.icalshare.com that will work with CalenGoo, too. Usually the current day and the weekend days are displayed with a different background color in all calendar views. In addition you can use another background color for other days, e.g. all holidays and birthdays. Just turn "Settings", "Display and Use", "General", "Change background color on days where certain calendars (e.g. 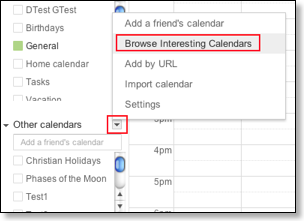 holiday calendars) have all-day events" on and then tap on "Calendars" to choose the calendars which should be considered. 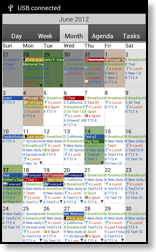 Then these days that have all-day events in one of these calendars will be displayed with a different background color (the color of that calendar). Please see the example on the right.